America’s Test Kitchen tried dozens of recipes and this was all-around winner. It's that time of year again when temperatures drop and colds are on the rise. 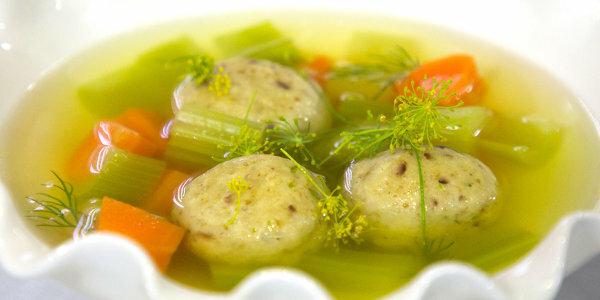 Before the next wave of sniffles hits, TODAY Food scoured the web to find the best chicken soup recipe out there. We turned to the experts at America's Test Kitchen, known for their scientific approach to creating the best recipes possible, for their recommendation of this classic comfort food. At the top of their list is their Old-Fashioned Chicken Noodle Soup recipe, which is their most popular chicken soup recipe online and has been extensively tested and approved by their team of experts and volunteer home cooks. It was originally published last winter and while the ingredients will be familiar to anyone who has made chicken soup before, the method is pretty revolutionary. Tucker Shaw, editor-in-chief of Cook’s Country (which is produced by America's Test Kitchen), told TODAY that this is his favorite chicken soup recipe because "it's a very simple expression of what chicken noodle soup really is." He added: "It has a really deep chicken flavor and not a lot of other stuff to get in the way of that." 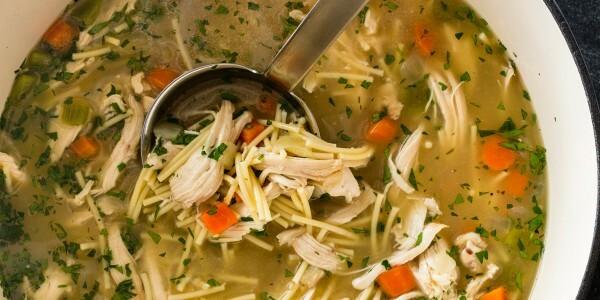 To create this recipe, Shaw said that the America's Test Kitchen team began with Campbell's Chicken Noodle Soup as a starting point, because its taste is familiar and nostalgic for many people. "You have these flavors that trigger a sense of being comfortable and healing," he told TODAY, though in this recipe they are less reliant on all the salt that comes in the soup can. The final recipe took about eight weeks for America's Test Kitchen to develop, and it's a thorough and very scientific process. The team starts with five recipes pulled from cookbooks and other sources to see what they do and don't like. From there, they begin trying different versions, altering one ingredient at a time, tasting along the way until they come to a consensus. Then that recipe is sent to their team of several thousand volunteer "tasters." For a recipe to be published, 80 to 85 percent of the tasters must indicate they liked it and would make it again. A hallmark of the Old-Fashioned Chicken Noodle Soup recipe is its rich flavor that comes from using bone-in chicken breasts and thighs. Cooking the meat with the bone gives the whole pot a deeper chicken flavor and helps the meat hold on to more moisture, said Tucker. And instead of boiling the chicken, like many recipes call for, this one starts by browning the chicken in a Dutch oven, so frond, or browned bits, develop on the bottom of the pan. Through the testing process, there was a big discussion centered around the type of noodles to use. While egg noodles are more traditional, the team actually chose spaghetti broken in bits, because home cooks are more likely to have it sitting around the kitchen. "You don’t want it to be too hard to make if you’re not feeling well," said Tucker, but a variety of noodles will work well in here. The soup also keeps well and can last about two days in the refrigerator or up to two months in an airtight container in the freezer. That makes it easy to cook up a big batch and save it for a rainy sick day. Tucker also said that the base recipe is pretty versatile so home cooks can customize their dish by adding red pepper flakes, more veggies, or even spice it up with pickled jalapeños or Sriracha sauce. 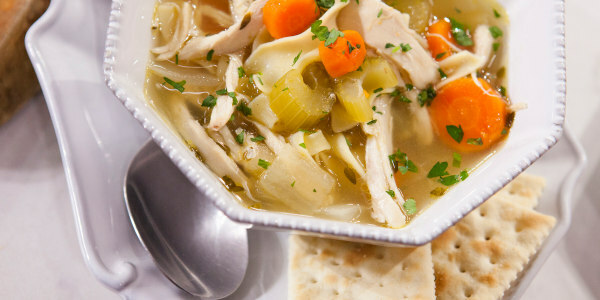 "Almost every cuisine in the world has a version of chicken soup," said Tucker. "There’s just something about chicken broth that is understood as healthful and healing."